Bayern Munich are top of the pile in the Bundesliga once more, but even a thumping 5-0 win over fellow title contenders Borussia Dortmund hasn’t been enough to bring tranquility to Bavaria’s capital. On the contrary, Saturday’s triumph has only served to amplify the rumblings of discontent behind the scenes. 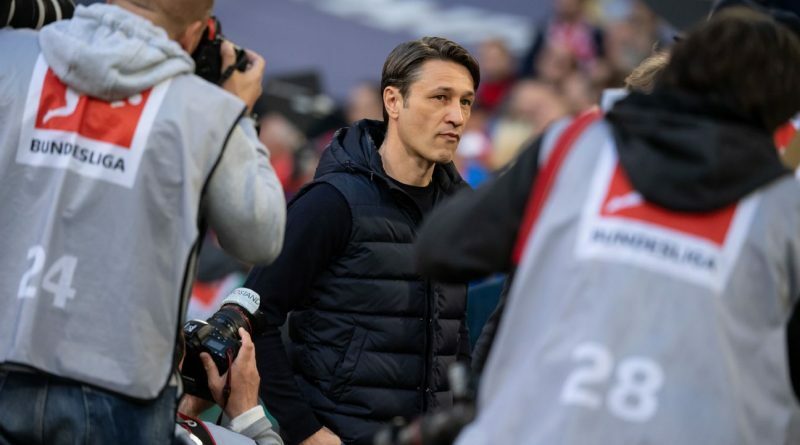 The difference of opinion about manager Niko Kovac, a debate that’s raged “backstage” at the boardroom level, is now out on the open, a noisy distraction destined to dominate the final weeks of the season. Karl-Heinz Rummenigge must have known what he was doing. Bayern’s Executive Chairman pointedly refused to issue a job guarantee for Kovac during an appearance on a Sky Germany talk show on Sunday morning and explained that the 47-year-old had been told to stop his extreme rotation policy before Christmas. “Everyone has to perform and whoever can’t deal with the pressure is at the wrong club,” Rummenigge added. That same evening, club president Uli Hoeness backed Kovac in an interview with Kicker and chided Rummenigge for his implied criticism. “You can’t work with someone you constantly undermine,” the 67-year-old warned. Rummenigge and Hoeness, former Bayern teammates in the mid-to-late 1970s, have often not seen eye to eye since the former became a leading member of the board in 1991. They have just as often made up again, finding common ground or at least settling upon a form of job-sharing. 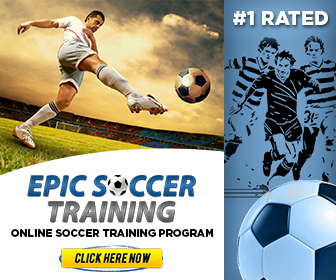 It’s no secret in Munich that some players and coaches get chosen by one of them, while others get hired due to the wishes of the second alpha male at the club. For example, appointing Kovac was very much Hoeness’ idea after Rummenigge had brought Carlo Ancelotti to Munich and sought to get Thomas Tuchel in as the Italian’s replacement. Hoeness’ futile attempts to convince Jupp Heynckes to continue in the job saw Bayern lose out Tuchel a year ago, which prompted them to turn their attentions to former midfielder Kovac as a back-up choice. Kovac has worked wonders to get Bayern back on top of the Bundesliga after being more than 10 points back before Christmas but it’s not enough for him to feel confident in keeping the job. Rummenigge made it clear on Sunday that he’s still not 100 percent sold on the Croatian as the long-term option and Kovac, an inexperienced coach, has become a pawn in the the power struggle and the clash of egos above him. But the nature of the disagreement isn’t purely a personal one. In addition to their disagreements over personnel, Hoeness and Rummenigge also possess very different visions of football, and of the best course for Bayern Munich in particular. Hoeness sees the club as an extended family and encourages the players to pour their hearts out in private meetings at his house outside overlooking Lake Tegernsee. Hoeness has never hidden the fact that he thinks that tactics are overrated; instead, the former West Germany winger has a player-centric view of the game. He believes harmony, a winning mentality and the squad’s quality determine success. In this sense, putting the former Bayern midfielder Kovac on the bench could be seen as an attempt to recreate the strong togetherness and special club identity that underpinned their Champions League wins in 2001 and 2013. 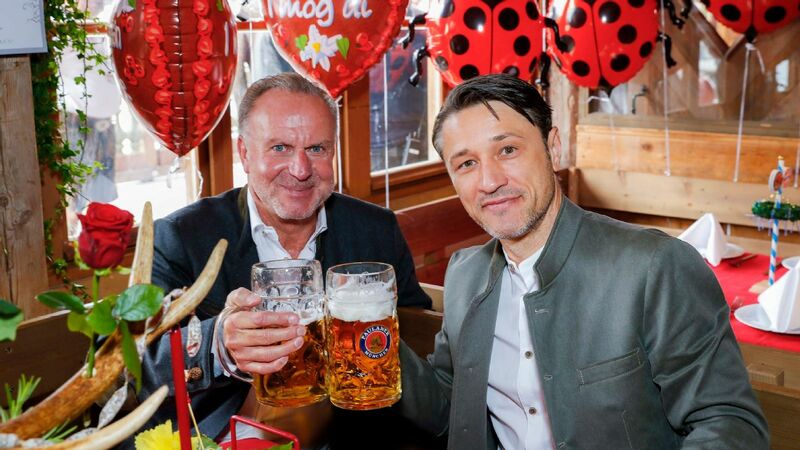 Rummenigge, left, isn’t a fan of Kovac given his opinion on how Bayern should be run, a rift that not even Saturday’s rout of Dortmund has necessarily fixed. Rummenigge is a much colder, far more analytical type. He’s less inclined to be patient with former or current Bayern heroes who don’t perform to his exacting standards as players or managers. According to a source in Spain, Rummenigge would like to see James Rodriguez stay in Munich — he appreciates the Colombian’s technique and elegance — while Hoeness is said to be unconvinced that the attacking midfielder’s quality outweighs his reluctance to be a team player. Rummenigge’s stated intention to step down from his position at Bayern in 2021 has given his dream of winning another European Cup an element of urgency. The German champions’ elimination by Liverpool last month has done little to convince the two-time European Footballer of the Year that Kovac is the best possible manager to oversee the squad’s transition.